There can be times when you need to factory reset a switch. This process can be accomplished through the CLI but if you’ve lost the switch password you’ll need to follow a special process. This process should work for any of the Ethernet Switches (450, 460, 470) and the Ethernet Routing Switches 2500 Series, 4500 Series, 5500 (5510, 5520, 5530) Series. There is a different process to recover lost passwords on the Ethernet Routing Switch 1600 and 8600. Please note that by factory resetting the switch you will loose all configuration settings. It will be as if it just arrived from the “factory”. When the first line of the diagnostics tests is displayed, press CTRL-C. The system then displays a menu. Select option “i” to factory default the switch. Select option “a” to run the agent code. Upon boot up, the switch will be in a factory default configuration. There is a clever way to reset the password without losing configuration nor reboot. Result will be that you can login without password en be able to set a new password. Compliments on the informational site! Thanks for the comment. I can see that you’ve been around the block a few times with the Nortel switches. While we’re on the topic there’s also another problem folks can run into when they set both the RO and RW passwords the same. Whenever you log into the switch it will assume the READ-ONLY user, leaving you unable to make any changes. A quick workaround is to use the Web GUI (if it’s enabled) to log into the switch as the RW user (provide the username of RW along with the RW password). When your inside the Web GUI you can change the passwords. Thanks again for the feedback Thomas! Attaching SOC unit 0… PCI device BCM5675_A0 attached as unit 0. Attaching SOC unit 1… PCI device BCM5695_B0 attached as unit 1. Attaching SOC unit 2… PCI device BCM5695_B0 attached as unit 2. Decompressing the image … done. Have you tried factory resetting the switch? When I attempt to login to the Web GUI via RW Authentication Failed is what I get. And I know I set it the same as the RO account. Any suggestions would be extremely appreciated. You can’t set the RO and RW password to the same thing, else the web interface will default to RO. You need to use different passwords. Well yes sir, I get that, but I did. What I’m asking is how to Change the RW without RW access via telnet sesh and Web sesh. It won’t let me login with RW account in either. What I’m asking is how to change it so that I can get in with the RW account. Copyright (C) 1999, Bay Networks, Inc. I really would appreciate any help to get into this switch and reset the password. I really would. I’ve opened it to see if there is a battery there I could take out, but found none. Please help. The BayStack 310 was one of the original Ethernet switches in the BayStack product line so it looks like it doesn’t conform to the procedure I’ve outlined above. What are the options if you follow the prompt, “Enter ‘.RETURN to go to Boot Options Menu”? One of those options might be to reset the flash NVRAM, which is the configuration. That’s not one of the options it gives me; to reset NVRAM. You seem to know about these things-a lot. Is there any other way you could help me, please. I mean please. What are the options it gives you? Can you post a copy of the options from HyperTerminal (or whatever application your using to access the serial port). I don’t personally have access to a BayStack 310 switch so I can’t really add anything. I would be very surprised though if there wasn’t some option that allowed you to reset the switch configuration since I believe the BayStack 310 was released after the BayStack 450 switch, and that supports “initialize NVRAM” the option that clears the configuration. Thanks a lot. I will try and post the output here soon. I really need this open, so I won’t even mind sending it to you; if that what it will take. 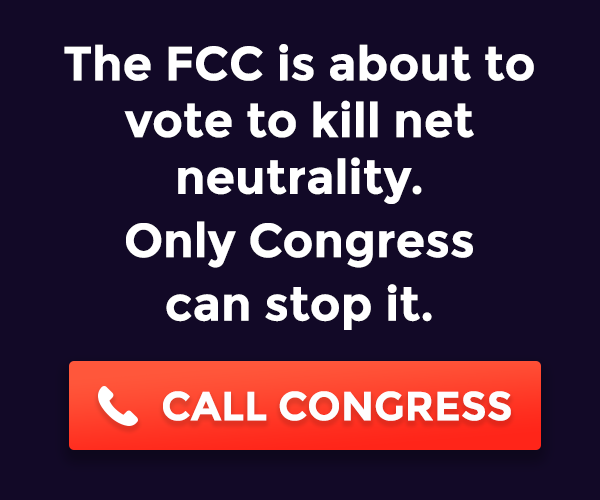 I did some research today and made some calls and found the following. The BayStack 350/450 switches do not support resetting the configuration (password). The very early versions of software (boot code/agent code) did support a backdoor password “NetICs” which needed to entered within the first 30 days of a switch booting, however, later versions did not support any method of resetting the switch locally. I’m not 100% clear on this but some believe that Nortel might be able to generate a onetime password based on the MAC address of the switch. You would, of course, need a maintenance support contract with Nortel. Someone also brought up the possibility of stacking the switch with another switch although I don’t believe the BayStack 310 model supported stacking. Sorry but it seems like you might be out of luck. Thanks so much for all your work on this. Since I have 3 of these, I’m ready to open, fiddle, and test. I’m thinking hard-reset. Please let me know if you can think of anything I could do while I’m in there. Was the hard reset successful? I need some help with Baystack 350T console port. I use a straight thru null modem and nothing appears on the screen. What am I doing wrong? When you say on-screen, what screen do you mean? You should go to hyper terminal that’s in windows to be able to see anything. Is your switch port managed. After months of working on mine, I find out the ports are 10BaseT. I need 24…anyone? ..sorry, I meant I need a port managed switch that’s 100BaseT. Anyone…? But right after this I get odd characters and the output completely stops…Any ideas!? I ve got a 470-24T which i need to access with RW, but cannot do so through web, nor can access R. I can connect to it through telnet and get access to priviliged level (exec) on the command line. Is there a way i can reset this switch either to a RW password or default? Help please. I am very much interested in the command line to reset the whole switch or the username and passsword. I did enter same password for RW and R and i was never given a chance to accept or deny the changes. Web access ….. If I understand your post you’re having issues because you set the RW and RO to the same password? Unfortunately that can leave you locked out from the RW account, although there is a fix. Login to the switch from the web GUI and change the RO password. When logging into the web GUI you obviously need to use the RW account and password. I can not logon through the Web GUI. I can telnet to it and get access to the command line with privileged mode. I need some CLI that will let me change the password. Can you help. Have a look at this post and let us know if that is what you’re looking for. do you know how to clear passwords on Nortel BES120-24T PWR Business Ethernet Switch 120? I can reset config from Boot menu config, but not passwords. On unit I have it was to clear it form Boot menu. Do you have any idea how to do it? on the front of the switch. The reset button resets the switch and sets all switch properties to the factory default values. Are you using a straight-thru serial cable at 9600, 8, N, 1? It certainly sounds like there is a problem with the switch. Unfortunately, if you can’t get anything from the console I think you may be sunk. Sorry for the bad news but there might be a bright spot. I believe all Nortel Ethernet Routing Switches come with a lifetime warranty. I would suggest contacting your reseller or perhaps even Nortel directly. 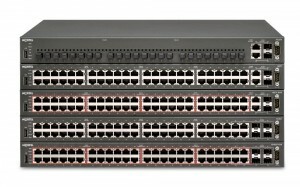 I have a few stacks of 5520/5530 switches and over the past 6 months or so I have had issues with corrupted passwords which is giving me some grief. I have read through this forum and it looks like I should be able to do the TFTP save, modify, upload that is mentioned to get a known password back on the stacks. I’m wondering though if this is a common occurance with these switches. My problems seem to have been the result of power failures/fluctuations which have caused the stack to reboot but something has gone wrong and one or more switches in the stack have not booted up cleanly and joined the stack. After forcing another reboot the stack has come up with all switches in it but the console/ssh password has been scrambled. The SNMP authentication still works though. Also – thanks for putting this site together. I have found very little useful information on Nortel gear around the web but this is the exception. There was a bug in some version of code (can’t remember right now) where the switch configuration would become corrupted if the stack had a switch drop out and then recover. We predominantly saw this on the Ethernet Switch 470 since our network has more 470 switches than any other model. There was also another bug where the CLI interface would stop working but SNMP would still function. You could log into the switch but you couldn’t access anything other than the basic CLI menu, selecting anything wouldn’t get you anywhere, the switch essentially wouldn’t respond selecting anything past the main menu. I’m currently using 5.1.3 software for the 5500 series without any issues and 3.7.3 software for the 470/460 without any issues. As for how to recover from the problem. You’ll probably need to upgrade the switch to 5.1.x in order to enable ASCII TFTP upload support. You can then use Nortel’s Device Manager to upload the configuration in ASCII to a TFTP server. You can then edit the ASCII configuration changing the passwords and download it back to the switch. The switch WILL RESET ITSELF after you down the configuration so be prepared for a short downtime period. In case you have any problems with the steps above you should probably be prepared by copying the configuration to your laptop and be prepared to factory reset the switch and then re-program it from the CLI interface by cutting and pasting the ASCII configuration file that you got from the TFTP upload. We’ve had to-do this process with about 8 stacks already over the past 24 months (we have about 200 stacks in the network so we’re not too bad off). Dear sir…..i have problem with the user of the switch norte 470-24t, i try to make passwod read community but not the user of the switch then after i logout the switch shoud fill the user n pass, unfortunetly i cant to reach of the menu. so….do you have any suggestion…..how to reset the switch? i wait your comment soon. If you don’t know the ReadWrite password you’ll need to factory reset the switch as the post above indicates. That means you’ll need to physically cable up to the switch and perform a factory reset. I have a Nortel 450-24t with an admin password set that has been lost\forgotten\etc. I followed your directions at the top of this post with no joy. Is there a SW version issue I need to know about? When I reset the power to the switch and press CTRL-C when the POST begins I get no menu. I am cabled to the switch using 9600-8-n-1. What am I missing? You can try the simple thing… perhaps you need a null-modem or crossover cable. If you have another switch you can test your serial cable and see if you get a login prompt with that switch. If you get a login prompt then your serial cable is good. Perhaps the switch is bad? It should work for a Nortel BayStack 450 24T. I didn’t get a menu either with the cable I was using for Windows HyperTerminal. Then I changed the handshaking from Hardware to None and all was well. I just reset the passwords on a bunch of these things in less time than I spent searching the Nortel site (to no avail) for this procedure. Hi All, my nortel baystack 450-24 t switch doesnt respond to the recomendations you guys have. the break does not break its post testing and ?NetICs does not work for the password… what I did notice is when i put secure or user it then asks for switch password… I have been stuck on this for days .. please help and keep up the great site. Unfortunately the NetICs trick is for the really old Nortel (Bay Networks) BayStack 450 switches. It usually doesn’t apply to the 24T which was a later model. Could you post, just cut and paste, the ascii output from when the switch boots up till it’s waiting for a login? Only later versions of the software asked for a username, previous versions only asked for a password. Does anybody in the community know what it is im doing wrong? Thanks in advance and love the site!! I’m not sure what to tell you… there were some BayStack 450s that were manufactured early on that didn’t conform to the standard Nortel uses today. That’s where the NetICs thing came from. On some older Baystack models you have to press ESC then Ctrl/D as soon as testing memory is displayed in order to reset NVRAM using the i option. i trying to connect a terminal server (cyclades) to a ERS5000. I am using a roll over cable from the terminal server to the ERS5000 console port. I am also using a RJ45 to DB9 female connector but I dont know the correct configuration for it. Do you know what is the correct configuration??? The short answer to your question is no. With that said some folks have reported success in “stacking” a second switch with the first switch. When two or more switches are stacked together there is a different password field used in a stack configuration as opposed to a standalone configuration. The default configuration is no password, so if you stack your 5510 with another switch you might be able to access the console without any password. With that said you should be prepared to reconfigure the switch if the configuration gets all messed up as a result of stacking the switch. our switched are stacked how can i go abt it? . have two 5520. With respect to re-setting the read-only and read-write passwords of the switch; if the switches you are working with are already stacked then your only hope is the TFTP config trick that was mentioned earlier in the comments of this post. I would strongly advise you to proceed with caution since any little mistake might leave you rebuilding the configuration so you might want to make sure the configuration is fully documented before you begin. Thanks, i did manage to get the old password . using the GUI interface and the backdoor password. How can I recovery password on ERS4500 and configuration don’t loss. There is no such option from Avaya/Nortel. You need to erase the FLASH which will erase everything including the configuration and stored passwords. With that said if you have SNMP access and the switch is running a recent version of software you can perform an ASCII configuration backup to a TFTP server from Java Device Manager, perform the factory reset and then restore the ASCII configuration file you previously backed up. I would strongly advise that you proceed with caution and make sure you have a backout plan just in case things don’t go well. You may want to check out the discussion forums for additional tips and tricks. Just wanted to thank you for putting this up. We just did a complete infrastructure overhaul, replacing all of our Cisco devices with Nortel, and we’ve been having all kinds of issues figuring out the simplest tasks. This whole page is immensely helpful. You’ve just made several customers very happy. Thank you so much. I’m happy to hear that you’ve found the information useful and helpful! You might want to peruse the dicussion forums. If you have any quetsions please feel free to post them in the forums! Do you have method for default factory ALTEON 2424 SSL? Your question is off topic but I’ll answer it. In the future please use the discussion forum for any questions you might have that aren’t directly related to the content of the post. Unfortunately if you don’t have CLI access I believe the only way to recover the device is to contact Radware support where they can issue you a one-time recovery password based on the MAC address of the switch. If you have CLI access then you can read further. Mike, I’m trying to interface with a Baystack 5510 switch through a Hyperterminal via a desktop PC.. I’m using a DB9 cable, was wondering if I needed a straight thru or Null Modem Cable? And what exactly is the difference between the 2 cables? You’ll need a stright thru cable in order to access the serial interface. A null modem or cross-over cable flips the Tx/Rx wires so the Tx of one device lands on the Rx of the other device and vice versa. Once you have HyperTerminal running (9600,8-N-1) try hitting Ctrl-Y to start the session. You may wish to browse the discussion forums for additional hints and tips. There is no way to factory reset the switch from the UI button. You can find additional information regarding the UI button in this post. You’ll need a serial cable to proceed. I believe the switch requires a 9pin male to 9pin female straight-thru cable. the 5520 switch needs a 9 pin male to 9 pin male straight through cable. You can make one up by using an RJ-45 joiner to connect 2 Cisco console cables together – you probably have some of them as it sounds like you are a Cisco-phile ;) I have done this myself and it works fine. Once you have a console connection you can break into the switch boot sequence and reset to factory defaults. Geoffsmith31.. dude you’re the man…. I have a 5510-48port pwr switch that has a password issue. I did a software upgrade to secure software and the password that was on board had caricatures that are not allowed in the new build (6.1.2.0.29) the upgrade went fine but now the RW pass does not work, I can only get in with ro. I would love to not have to reset to factory, is there a way to get rw access again? Assuming that you have SNMP access (read-write) you might try using Java Device Manager to download an ASCII configuration file that has the necessary commands to reset the passwords. I’m not sure if this will work with the secure version of software since I believe it requires an interactive response when setting the passwords. Another solution (more likely to succeed) again assuming you have SNMP access (read-write) would be to backup the switch configuration to a TFTP server, perform both the BINARY and ASCII configuration backups. You could examine the ASCII configuration file to see if it sets the passwords – I don’t believe the passwords get set in the ASCII configuration file. You could factory reset the switch and then restore the ASCII configuration file. I have a baystack450 Nortel and miss this Password. how to recover this password by console port? You’ll find the instructions on how to factory reset the switch at the top of this page which will also reset the password to factory. i have Nortel Baystack 5520, recently i have reset it to factory defaults, now i am unable to access it, please can you tell me the ways that i can access its console from web or telnet. What exactly do you mean by “access it”? Since you said you factory reset the switch I’m assuming you had the console working, do you not see the login banner? If you reboot the switch do you not see the output from the console as the switch is booting? actually i was not able to access its default IP address after resetting (192.168.192.168), so i got confused, then after some research on your blog i got the solution. I have forgotten the password to my ERS 5698. I can’t connect it to the Network and use the Device Manager as it has a duplicate IP of a production switch already on the Net. How can I recover/reset the password or set the box back to factory defaults? You can follow the instructions in the post above. Thanks for your response. I tried these instructions already. The problem is that the 5698 does not give me the ‘i’ option (step four). In fact, there are no factory default options listed. 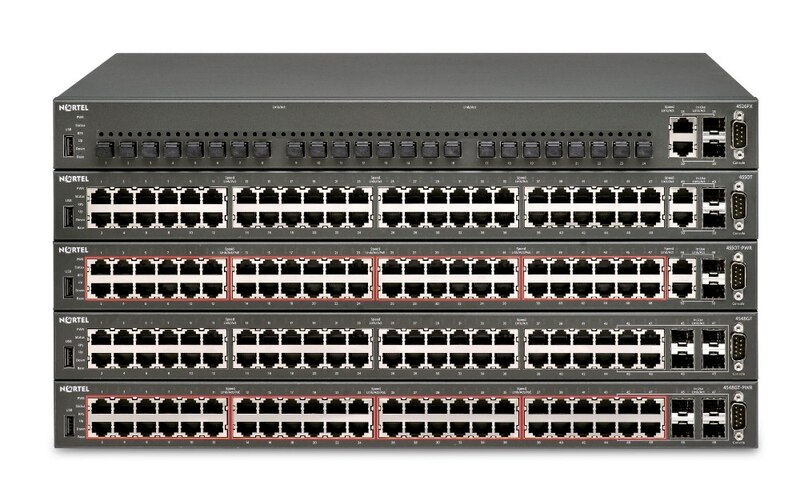 I haven’t seen an ERS 5600 switch just yet so I can’t really test it. Could you post a screenshot or just cut and paste a copy of the terminal session (including what options you have)? I ran into this today, figured I would post my findings. When you break into the boot menu, select option 5, then hit 1, enter, go back in and do the same for 2 and 3. This erases the 3 config files from flash. Use option 9 after this to boot, and the unit comes up in factory default state. Hi Michael. I’ve lost the RW password on a 1624G. It’s been in service with no problems, just need to move it to a new location on the network. Biggest problem is, I can’t get into the switch through the console port, I’m using the same cable I use on all the other Nortel switches with no problem, so not the cable. I just get no response on the ‘hyperterm’ screen The only way I can see anything on the switch is through the management port on DM but only ‘read only’ Hope you can help.. The cable on the ERS 1600 series switch is opposite (null) of the cable used Nortel/Avaya’s other switches (ES460, ES470, ERS4500, ERS5500, etc). If you’ve lost RWA username/password then hopefully you still have the RW SNMP community string because without it you’re going to need to factory reset the switch to recover. The one chance you might have is trying to copy the config file from the switch to a TFTP host using the RO username/password. I think that might work. Hi Michael. Thank you for the prompt response, yes, I had the wrong cable. I’m quite happy to reset the switch back to Factory defaults, next problem, hitting the ‘return’ key or ‘ctrl C’ on startup doesn’t seem to do anything ? You’ll need to troubleshoot the problem. Either your cable is bad, your terminal emulator is mis-configured or the switch is not responding. If you boot the switch do you get anything on the terminal emulator? As a side note you realize that the procedure documented above does NOT cover the ERS 1600 series switch. Depending on the software release the switch is running you might be able to follow the process for the ERS 8600 switch. Yes, sorry you were correct, it did require and null cable, with the correct cable all good and the display does comes up with the diagnostics tests, all OK. I have tried the reset for the 8600 series as you’ve outlined above, but their’s no response using the ‘return’ key or ‘ctrl C’ procedure as the tests starts. Your’ve mention their’s another procedure to ‘factory reset’ the 1600 depending on s/w release. That’s the older version… I haven’t worked with that switch in years. I don’t know how you’d factory reset that switch. I do remember that there was an option within Java Device Manager under the Edit -> Chassis tab, this assumes that you have RW SNMP access to the switch. I would expect that there might be some option to interrupt the boot process and then reset the configuration, but I’ve never done it personally on that switch with that older software. No problem, much appreciate the help on the null cable. Great web site. Thanks, Geoff. i can’t access through web nor to console, can anyone tell me how to Reset the Switch to Factory Default from UI Button in Front of the Switch..
Sir, how can i encrypted my 5510 switch Password. I’m trying to get into the web portal of a Baystack 310-24T. I am able to access the console through the comm port and I was able to set the password, but when I go to log into the web portal I don’t know what “User Name” to enter. Anybody know what that would be? I didn’t think that the BayStack 310 had a web interface but if you are being challenged you could try either RO or RW (case sensitive). i didn’t read every post up. Ive a Business Policy Switch 2000 but i dont know the IP Adress. Also i dont know how to get access with the COM port(i cannot find the software in the web). How can i reset the settings or where can i find informations about that switch ? You should have read the previous comments… you would have discovered that you need to use a serial communications program such as HyperTerminal. You’ll also need a straight-thru serial cable between your COM port and the switch. I believe you can use the same process documented in the original post to factory reset the BPS2000. i am new to Nortel switches and i am having problems consoling to the 5520-48T-PWR. I am using a null modem cable, hyperterminal with ocrrect settings, yet with everything connected and i boot the switch i am not seeing anything on my HT screen nor am i able to get to the CLI prompt. What am i NOT doing corectly? As Geoff suggests you need a straight-thru cable and not a null modem cable. You should configure your terminal emulator at 9600-8-N-1. You can then either reboot the switch or again as Geoff suggest just hit Ctrl-Y on the console to bring up the menu. Thanks for helping Abe out Geoff! I am having issues connecting Nortel Baystack 5510-48T ethernet switches via console cable. I do not have the IP address of the switches so connecting to them that way is not an option. I have read the posts and tried all of the options there but I still cannot get any response from the switch and nothing shows up in the terminal window. I am using hyperterminal with a straight console cable. Any help would be much appreciated. If you’ve reviewed all the comments above then you should have everything you need. If you still can’t make any headway you’ll need to troubleshoot the problem. I would recommend you start by eliminating your serial cable and terminal emulator… do you have another switch you can try or another device? If your serial cable works fine then the switch might be dead. I got it finally. Used the pinout diagram in the manual to create my own cable and it worked. For some reason the straight cable would not work. Thanks. I am having a problem in 7 nos 2526T switches. All the ports are hung and total network went down after few minutes. Does the ‘Factory Default’ procedure (shown by you at the top of the page) meet the problem. It’s very difficult to provide you any feedback as there aren’t enough details to really draw any conclusions. If you reset the switch does the network return to service? I would probably perform some back troubleshooting to start. Is there link to the desktop/laptop or other edge device? If so does the edge device have an ARP table? (arp -a) If the switch is managed (I believe the 2526 is managed) what does the MAC/FDB table look like on the switch? Is it correct? What if you try and run a packet capture using WireShark? I would suggest you post any follow-up in the discussion forums. I have reset the switches along with upgraded the Firmware and the Software with latest version. Thouh it it was upgraded but ‘INTERNAL LOOP TEST FAILED’ was showing during the time of POST checking. AVAYA has recomended to raise the RMA in against of the switches. I’ve been working on a Nortel Baystack 450-24T with Firmware at V1.47 and Software at v3.1.0.22. I’m able to view and interacted with the console via a straight through connection to my serial port using putty. From the moment I reboot the switch I am pressing ctrl-Break (the control to send a break signal in putty, I have also tried ctrl-c). No menu appears. Is there a specific terminal program I should use? The procedure documented in the original post doesn’t work for the BayStack 450 24-T. Apparently though (depending on software version) you might be able to use the following procedure. Well, I’d like to know if it is possible to reset a Nortel Switch (2526T) using telnet acess, but i dont remember the RW password, just the RO. Then I’d like to reset it to change the RW password. I tryed to do what you said but it didnt work because i cant connect to the console through Hyper Terminal even using 9600, 8, N, 1. Could you help me? You’ll need to physically console up to the switch to factory reset it. You need a straight-thru cable at 9600, 8, N, 1. Power cycle the switch when you are connected to the console and you should see the boot process. If that doesn’t work you need to validate that your serial cable and terminal emulator are working properly. I did it, but it’s not possible to establish the connection. I’ve tryed more than once. Can i reset it by telnet? Or will i need RW password to do this? I would try and determine why you can’t make a serial connection, or try a different device to prove or disprove your setup. You need the serial connection to the console. Yes, you can factory reset the switch if you have the RW password but how are you going to reconfigure it without access to the console port? Hi Michael (again). Finally, i got it. Thanks for all! Please post your question over on the discussion forums. It’s really off-topic for this post. I have one of these switches, and I am unable to connect to the console port, with a null modem cable. Any assistance would be greatly appreciated. I have one of these too, and I am unable to connect to the console port, with a USB to serial (db9) convertor cable. .. do you know why?? You need a straight-thru serial cable not a null or cross-over serial cable (Cisco console cable). Mmmmm. . . . my apoligies, there have been a lot of posts since I was here last. It seems that the info I referrred to is buried pretty deep. I’ll update the original post with the fact that a straight-thru serial cable is needed. I appreciate the comments and feedback as always! I appreciate if you please tell me the username after setting the password in a nortel 4850GTS swtich. I have set the password in the switch but it requires the username when we want to enter the cli.. The Read-Write user is RW, the Read-Only user is RO. I have stacked two Nortel 5510-24T switches. Now when I try to go to the Command Line Interface through the menu, it gives a message ‘could not create clip’ and the menu simply re-appears. I am really at my wits end trying to enter the CLI. Please help! I would probably recommend you cold boot the switches… sounds like a software bug. I think the Telnet/Web Access password got erased – somehow – when I stacked the switches and without a password the switch wasn’t allowing me to enter the CLI. So, I entered CLI through console port (no password set) and set password for Telnet access which solved my problem. But now a new issue has crop up – when I am trying to configure a qos ip-acl I get the following message %cannot modify settings and %unable to install access – component creation issue. The solution given in http://support.avaya.com/css/P8/documents/100134575 doesn’t make any sense. Can you suggest something? The easiest way to change the password on a Nortel or Baystack 450 is find another switch you can get into. Make sure the Firmware and Software on the startup screen is the same as the one with the password on it, if not downgrade it or upgrade it to the same rev levels. Take 2 Cascade modules, install them in the switches being mindful they are NOT to be installed with the power on (non-hot swappable). Make the 450 you can get into without a password the Base by flipping the dipswitch between the Cascade cables on the Cascade Module, make the other dipswitch the opposite of Base. Install the Cascade cables following the up down pattern, crossed. Turn on the Base Switch and wait 10 seconds then turn on the second switch. There should be an led light showing the status of the cascade modules under the Cas, Up, Dwn, Base. Up, Dwn should both be lit on both switches and Base should only be lit on the one you switched to Base. If this is not the case you messed up somewhere or need to check cables, cascade modules for being compatible with the 450 you are on. Not every Module rev or MDA for that matter gets along with each 450 Rev. Anyway once you have the lights lit up, wait 20 seconds for the Cascade Modules to converge after booting the second switch. Then open the menu with console cable on the first switch (9600, 8, N, 1 and no flow control), arrow down to Reset to Default Settings. Hit Enter, toggle the commands with your space bar and there should be a command that says reset entire stack and select yes. What is the actual error message? my Nortel 5510 started to show FAIL results on test 211. Ports from 25 to 36 are not working. Using the console I can hit “a” and finish the boot and still use the remaining good ports. Is there a way to have the switch automatically boot to the agent part without using the console? I’ll buy a new hardware but need something until I receive the new unit. Unfortunately there’s no way to bypass the POST (Power On Self Test) so you need to hit “a” to acknowledge the hardware failure and launch the agent software. Setup terminal (hyperterminal or putty both do it), can see screen console, no keystrokes seem to get received by switch for some reason. Here is screen capture below… is it something i’m doing wrong? Is it possible to test on another switch? I can’t recall if there is a UI button on the ERS 5100 series, if so you might be able to factory reset the switch from the button. Else, you’ll need to invest in a serial cable and adapter and use PuTTy to factory reset the configuration. Attaching SOC unit 0… PCI device BCM5670_A1 attached as unit 0. Attaching SOC unit 1… PCI device BCM5690_A2 attached as unit 1. Attaching SOC unit 2… PCI device BCM5690_A2 attached as unit 2. Attaching SOC unit 3… PCI device BCM5690_A2 attached as unit 3. Attaching SOC unit 4… PCI device BCM5690_A2 attached as unit 4. I have two no’s of Baystack 5510-48T port Switch and having booting issue, and while powering on giving above log, anybody can give suggest on this issue or help. There’s no agent software on the switch, you need to upload the agent software to the switch. You need to install the “secure” agent code. Is there an option to enable the SSH on avaya switch 3524gt-pwr+? We have some Nortel BayStack 470 24T and 48T ports, I need to upgrade firmware and diagnostic image for both models, but unfortunately, it is available on Avaya website and it is requiring company id# support. If you could have them I would appreciate your help. Sorry, I don’t provide any software. Wonder if you would be so kind as to assist me with something? I’ve just acquired a Nortel 4526 GTX-PWR that I intend to use in my security camera rack to power and manage an array of Ubiquiti G3 security cams. Apologies in advance — my experience with managed switches is next to zero but I’m old enough to remember when a serial port was about the only way you could talk to a computer from an external device, so been around the block in that space a few times! I’ve gone through the installation manual prepare to run the setup, but I can’t get the switch to respond to my terminal software through the com port on the DB-9 connector. I’ve got a Linux laptop running Putty in VT200 terminal emulation mode (Putty seems to do VT200 but not VT100 for some reason, although the Nortel switch manual recommends VT100) connected directly through the DB-9 laptop serial port via a straight through cable. I’ve configured the serial port in Putty with all the recommended parameters (9600, 8, 1, N,N) but there is no response from the switch. Putty connects to the cable successfully. I’ve done a loopback test through the serial cable and confirmed that the serial port is actually sending and receiving data, but I get no response from the switch when the cable is connected to the switch. Have power cycled the switch after connecting the serial cable, no response. Have also tried the CNTL+Y, again, no response. This seems to be the key to current impasse: The STATUS light on the switch is flashing green, indicating from the information in the installation guide that the switch is: ‘loading agent code’. I see in the thread above that you have advised others that ‘agent code’ is required for certain applications. Do I take this to mean that in order to initialise this switch that it’s necessary to first load ‘agent code’ firmware through the USB port before I can communicate with the switch through the serial port? And if this is the case, are you aware of who/where this ‘agent code’ has to come from? If it is not available from Nortel/Avaya, do you know if it is possible to acquire it from another licensed agent? I don’t have any login credentials for the switch or account/service contract with Nortel/Avaya. Many, many thanks in advance for your help. FYI, I’m located in Western Australia. If memory serves me correctly you need a null cable to a Nortel/Avaya switch. With your cable connected cold boot the switch and you should see the POST routine. If you don’t there’s something wrong with your setup. Hi, any one knows if the serial cable needed to connect to the ERS 5600 series is Null-modem or Straight Through? I connect to 5510 through Putty, but all I get is unreadable characters. From searching in the internet, it looks like the encoding might not be the right one. Does anyone know what are the character encoding settings? Or maybe, any other idea? I try pressing Ctrl-C, then I, then A, all those without knowing what is displayed, but nothing happens. Likely the issue is the speed/baud… the default is 9600-8-N-1. Nope you need to use the WebUI to access those switches.